Today’s blog is part of our Freight 101 series — an introduction to freight classifications. Knowing freight classifications will save you time and money. 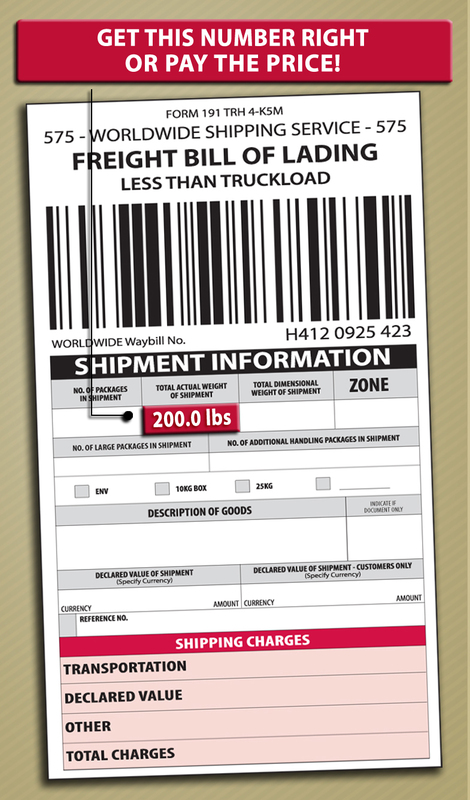 Freight Classifications are used by shippers and carriers to obtain standardized freight pricing. They are established by the Commodity Classification Standards Board (CCSB), which includes three to seven National Motor Freight Traffic Association (NMFTA) members. The NMFTA freight classification scheme is published in the National Motor Freight Classification (NMFC) tariff. It is crucial that shippers determine the correct freight class. Carriers use the NMFC tariff to determine their freight charge. An incorrect freight class = a costly reclassification adjustments. Use the precise weight of the pallet (or other packaging) and not approximations. We polled our customers to find out what they wanted to read about in our next blog and the number one response was “How to dispute Common Carrier re-weighs.” Freight re-weighs are a common issue. Adjustments to freight charges occur when the information on the Bill of Lading (BOL) does not match the actual shipment. Re-weighs are up to the carrier’s discretion and can happen at any terminal your freight moves through. Most carriers will not intentionally re-weigh the product at an artificial weight as — their reputation and character are on the line. Ninety percent (90 %) of all re weighs are correct, however mistakes do happen. In recent months there has been much in the news about cargo containers lost at sea. 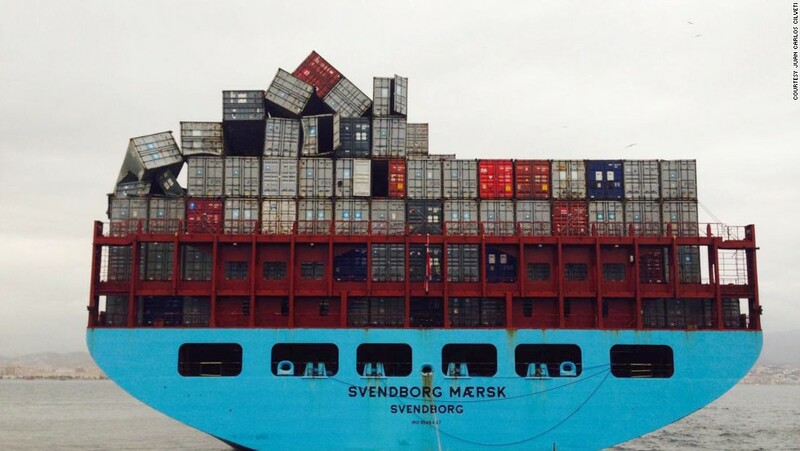 In late February, the Svendborg Maersk lost over 500 containers when it encountered hurricane force winds. This was the largest recorded loss of overboard containers in one incident. It is estimated over 10,000 cargo containers are lost every year. While this number is small in comparison to the mega millions of containers shipped each year, we highly recommend ocean marine cargo insurance to our clients. In our last post we learned the Incoterm definitions for Incoterms used in “any mode of transport”. In today’s post we will cover the Incoterms used for “sea/inland waterway transport only”. Let’s take a few minutes to review what we’ve already learned. Incoterms are a set of rules, published by the International Chamber of Commerce (ICC), that define the responsibilities of sellers and buyers for the delivery of goods under sales contracts. They are widely used in commercial transactions. In our last post we stressed the importance of Incoterms and provided you with a quick reference guide. Investing 10 minutes a day to learn Incoterm definitions will save you time and money. There are only 11 – piece of cake. We are even going to break them up into two categories: “any mode of transport” and “sea/inland waterway transport only”. Let’s take a minute to review. Incoterms are a set of rules that define the responsibilities of sellers and buyers for the delivery of goods under sales contracts. They are published by the International Chamber of Commerce (ICC) and are widely used in commercial transactions. 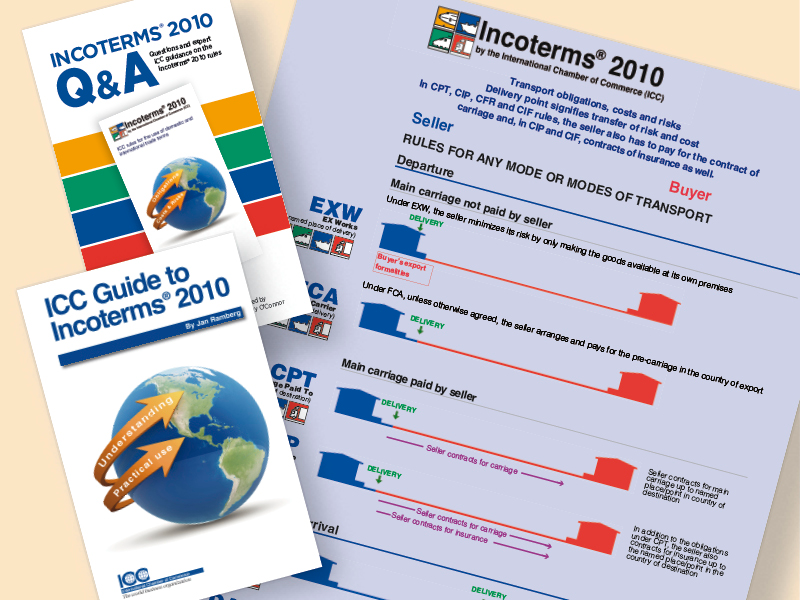 Incoterms 2010: How well do you know them? On any given day our VP of Business Development, Darrell Gajadhar, can be heard testing team members on Incoterms. He believes wholeheartedly knowledge of Incoterms is invaluable. In fact, when I started with HNM Global Logistics this was the first training I received. I remember looking at the spreadsheet and thinking this is a lot of information to digest. Fortunately for me Incoterms 2010 reduced the total number of terms from 13 to 11. Less to remember – Bonus! All jokes aside, I have to agree with Darrell. If you have a role in global trade – you need to know Incoterms. Incoterms help our industry ensure nothing is lost in translation. These three letter codes say a lot. The language of Incoterms defines the obligations, costs and risks associated with transportation and delivery. It’s crucial to know who is responsible for what, who has control and who assumes liability. There is a lot at risk when importing and exporting goods. There isn’t a default Incoterm. Each one impacts the trade process, so it’s imperative you know which term best fits your company. You should have a clear understanding of the risks and benefits associated with each Incoterm. 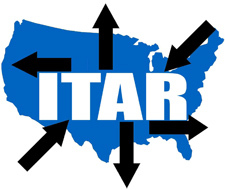 Our next few blog posts will be dedicated to Incoterms. Whether you’re reading as a refresher or learning something new – 10 minutes a day will save you time and money. 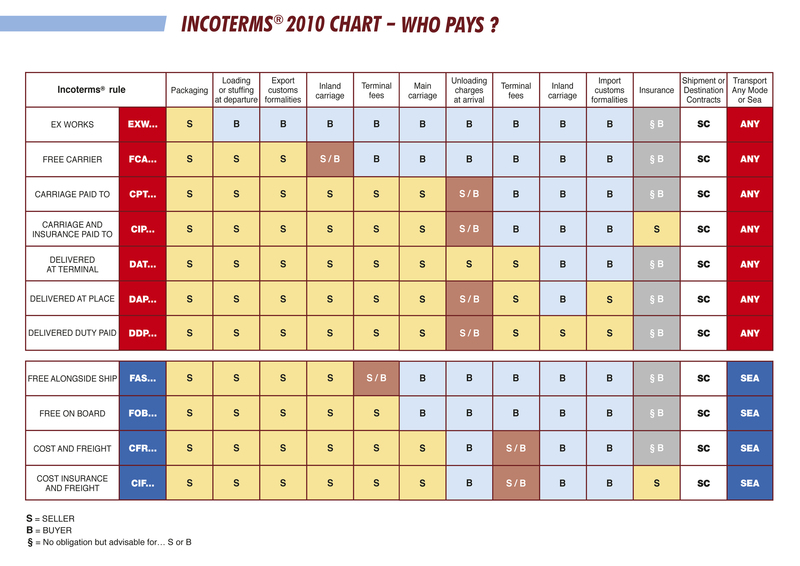 How well do you know Incoterms?